Happy holidays! Not only have we done our personal Game of the Year awards, we have also decided to do our favourite Indie games of 2016. Enjoy! My indie game of 2016 is Ska Studios’ Salt and Sanctuary, a two-dimensional brutal adventure whose gameplay is inspired by the highly acclaimed Souls series. Ska successfully captured the haunting aesthetic, punishing combat and sprawling game world of FromSoftware’s Souls games brilliantly, but they also managed to make it in the style of a Metroidvania type of game. What made Salt and Sanctuary so good was the fantastic art style and animation that really brought the game to life. As a Souls fan, I had to buy it, and boy I’m glad I did. Even within the miniature world of indie games, Unravel was not one of 2016’s high-profile releases. 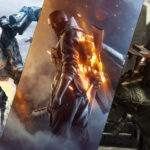 It may have been published by EA, but it was made by Coldwood Interactive, 14 people in Northern Sweden that, led by Creative Director Martin Sahlin, decided to make a game inspired by the landscape that surrounded them. What they came up with was a physics-based platformer starring Yarny, a humanised creature made from a ball of wool that Sahlin came up with while playing about on his family holidays. 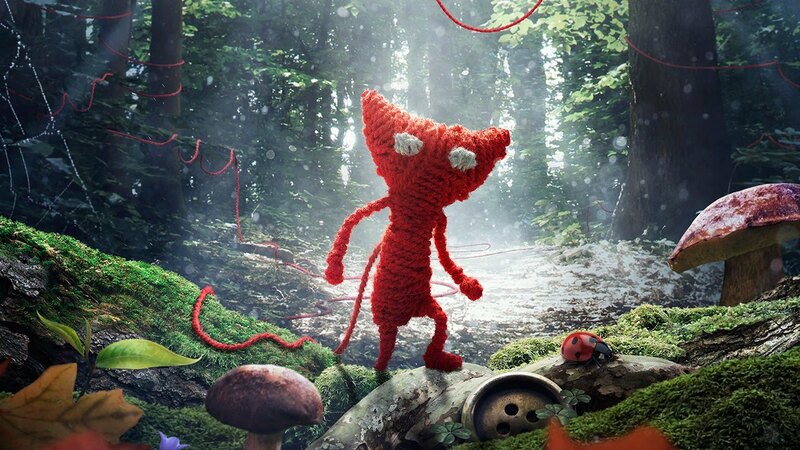 It’s this idea of a creature made of wool that is at the core of Unravel, with Yarny quite literally unravelling as he progresses through levels, as well as being able to use the wool to lasso objects, form elastic tightropes to reach higher areas, and pull himself up to previous points. With this rather limited skillset, Yarny navigates levels representing pivotal stages in an elderly woman’s memory, with each level completed unlocking photos from that stage in her life. Initially, the locales suit Yarny perfectly, with our woollen hero the embodiment of childhood innocence as he ambles about country yards and beaches, with the primary dangers being water and the pincers of a nearby crab. Gradually through, the story explores darker territory, and Yarny finds himself running from cockroaches, avoiding toxic sewage and dodging massive industrial machinery. While the overall narrative is only ever hinted at, it’s tremendously affecting, the product of a team that knows that “adult” games are about far more than swear words and gore, they’re about connecting with what’s real and finding the universal in the personal. As a result, it’s one of the few games that’s ever moved me to tears. Most importantly, Unravel is a sheer pleasure to play, its puzzle platforming has an uncommon level of polish, the animations beautifully express Yarny’s emotions, and it finds ever more creative ways to use his wool-based repertoire of skills. Despite its childish aesthetic, there’s a refreshing refusal to hold the player’s hand, it teaches you what Yarny can do and then leaves you to get on with it, a return to that old-school figure-it-out-if-you-get-stuck approach that seems to have fallen by the wayside as games have become mainstream entertainment rather than niche obsession. 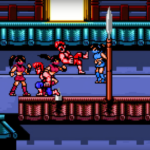 Throughout, there’s the sense that every frame, every polygon, every pixel, really matters to Sahlin and co., and you really get the feeling that, like the best indie games, this is the work of passionate, talented craftspeople rather than the product of meeting rooms, focus groups, and devs for hire. In its own way, Unravel therefore feels significant, it both looks back to an earlier age of gaming and shows a tantalising possibility of what games can become once they get over what often feels like an adolescent fixation with guns, violence and conflict. It’s a unique experience and truly one of 2016’s hidden gems. I’m new to the indie gaming scene. Brand new. In fact, as of today I’ve only played one indie game (though what qualifies as “indie” these days can sometimes be difficult to discern), and that game is Aragami. Even though Aragami currently has a monopoly on my indie GOTY, I’m quite sure that even if I had played other indie games this year, Aragami would have still come out on top as my favorite. I almost didn’t even play the game and ended up doing so simply on a whim, so it really was a surprise hit for me. Combining elements of the stealth-heavy Tenchu series with some Dishonored-inspired gameplay, Aragami is a stealth game through and through with a unique level of challenge, not to mention a surprisingly good story. Stealth aficionados would do well to give this game a try. Any other year and my indie GOTY and GOTY would easily be the same. This isn’t a knock on Event though, it’s an amazing game on its own. Event offers some truly unique gameplay in its premise: Stranded in deep space, you need to do what an AI computer ship wants to get home. While that might not sound unique on its own, the AI is represented through what is essentially a chatbot. If you ever spent any time trying to talk to a chatbot, then you already know the potential for frustration involved here. It was done brilliantly, and the initial playthrough was probably one of the most memorable gaming experiences I’ve had in a long time. Salt and Sanctuary is a 2D game heavily influenced by the Dark Souls series made by Ska Studios, which came out of the blue just before the release of Dark Souls III; a risky business move, but it worked due to the buzz surrounding Dark Souls III. Some will say Salt and Sanctuary is a 2D Dark Souls clone, but don’t let that fool you into thinking the game doesn’t have the same amount of quality and passion behind it or have its own unique touch of personality. Ska Studios, a team of two, managed to successfully create a game that FromSoftware would be proud to call their own. Exploration and level designs are some of the best you’ll see for a 2D indie game; this could be the beginning of a very successful games series and fill the void for people looking for challenging and deep action games. Salt and Sanctuary is a worthy winner of Indie Game of the Year.